It has been a month since I completed Journey Through Twin Peaks. This four-hour video series ended up being the most ambitious project I've ever created for this blog, is on its way to becoming the most popular (it certainly received more positive feedback than anything else I've ever done), and is definitely among my favorite. While I'm ready to move forward, you haven't heard heard the last of Twin Peaks from me. When Showtime presents the original series before debuting the continuation in 2016, I will probably present a new written episode guide as accompaniment for new viewers (maybe two posts for each episode - one spoiler-free, one looking at the larger context). The guide would incorporate elements from my previous work alongside new observations. And when the new series airs, I will definitely be sharing my reactions after each episode. 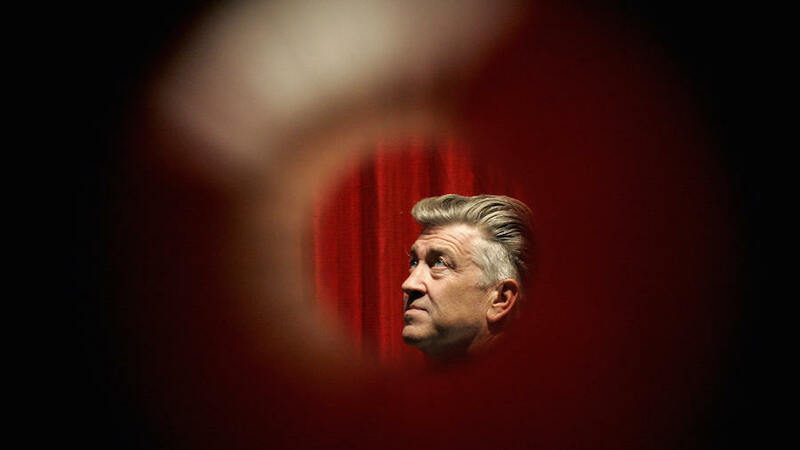 In the mean time I will continue to offer Twin Peaks posts, probably once a month - starting in two weeks with my interview with Andy Burns, author of the new Pop Classics title Welcome to Twin Peaks. But I also have much more in store. 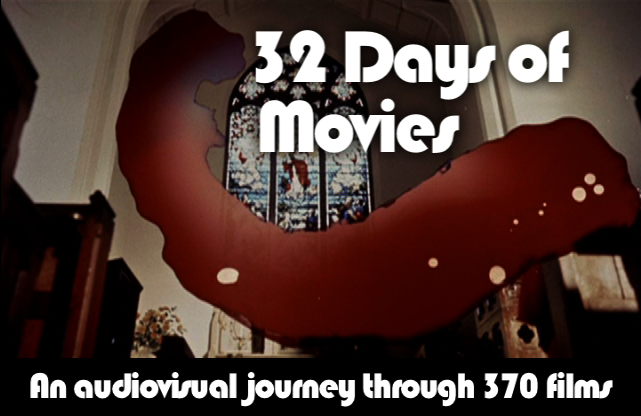 I am currently working now on resuming the long-abandoned series on Neon Genesis Evangelion, (also check out my visual tribute to a favorite episode, from last fall), as well as my Favorites series detailing my choices for the "100 of My Favorite Films" list. I also still want to pursue the idea of a "Collection" series in which I review all the videos I own that have not yet been written up for this blog. Some of these projects will take years to unfold, especially since I don't intend to resume/begin posting any series until I finish it (having learned my lesson in the past). In fact over the past few years I have written Evangelion and Favorites posts that remain unpublished for that very reason. I don't want to play my cards until I've got a full house. I am also drawn to a new idea: discussing many TV shows through a short viewing diary, writing up a page in a journal after I watch each episode (again, this would not be shared until I finish a given series). Among the shows I will be watching soon, for the first time in every case (other than stray episodes or occasionally stray seasons): True Detective, The Prisoner, Mad Men, Breaking Bad, The Wire, Star Trek, Star Trek: The Next Generation, and The X-Files. The possibilities are endless and I suspect that in upcoming years these viewing diaries will provide much of the material that appears on Lost in the Movies. Meanwhile, I have several video essay ideas hovering in the back of my mind. None will be as extensive as Journey Through Twin Peaks but each in its own way will hopefully be rewarding and exciting, for viewers as well as myself. This is the form of blogging I am most interested in, and I plan to keep pursuing it. 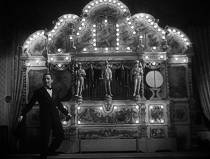 If you enjoyed Journey, I also recommend checking out my previous video essays - including meditations on Lady and the Tramp, David Lynch's early work, Modern Times, Fists in the Pocket, and three of Brian De Palma's films. 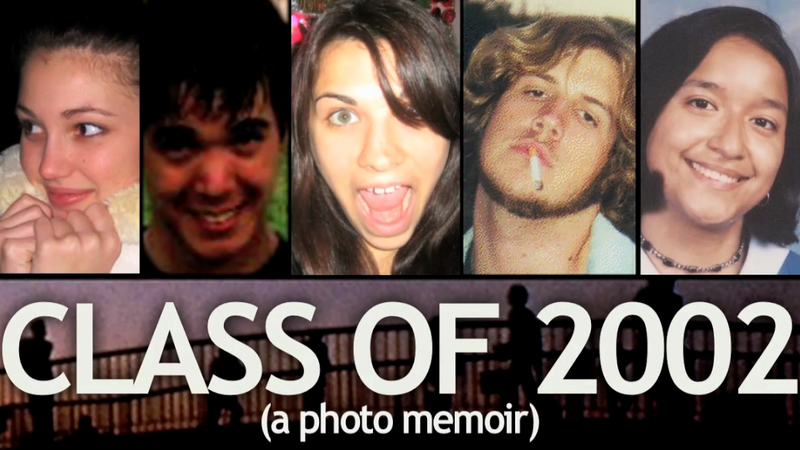 (These are also available on Vimeo, if you prefer.) 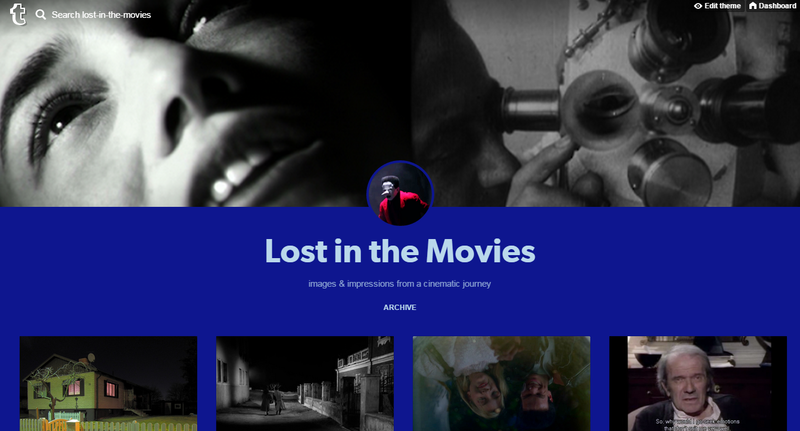 And you may also enjoy this voyage through film history via clips from my collection. Thanks for the update. Just so you know, your YouTube link for the Modern Times essay has been blocked, incorrectly, I believe, on "copyright grounds." Thankfully, it's still available on Vimeo. Good luck! Thanks, Anon. Because the video was blocked rather than deleted, I was still able to watch it when signed into my own channel. I didn't realize it was unavailable otherwise. Hmm. I will probably dispute the claim but only after my Twin Peaks disputes have cleared (which should hopefully be within about a week). That way I won't risk having too many strikes on my account (they don't cleared into the process is finished). Thanks for the update, Joel. It doesn't take a patent attorney to determine that your videos fall under "fair use." In fact, I would say that your videos are a GREAT example of why "fair use" was established. I'd recommend searching out the series MILLENNIUM - unlike X-FILES, which is very much of its time and really only has maybe 5 excellent episodes, most of the themes and subjects of MILLENNIUM still are relevant some 20 years later. Thanks for the recommendation - added it to my queue. Not sure if I'll end up doing an episode guide to X-Files but if so it will probably be fairly short entries; the sense I get is that, as you say, there's a lot of filler in there and there may not be as much to discuss. There's also a certain nostalgia factor involved. I was about 9 or 10 when that series started watching and I was always fascinated by it though I think my parents were too strict to allow me to see it. I used to love the theme music and the whole idea of the show. But that may not translate into something that's worth discussing episode-to-episode so...we'll see haha. I've seen the first few episodes I think, but that's it. I remember seeing the *Millennium* pilot; that was something different, especially back then. I remember feeling weirded out, but, liking it.  Lance Henriksen’s Frank Black was great to watch, from what I remember. Somewhere I have the pilot on VHS; I should probably seek it out on Netflix, via DVD or streaming. If you haven’t seen the program, I would suggest taking a look at the pilot, at least. Long-time reader, first-time poster, blah blah blah, etc. I found your site some years ago when searching the WWW for Twin Peaks. To me, Twin Peaks, is David Lynch's finest contribution (warts and all) to popular culture, and one of the few TV series I revisit. 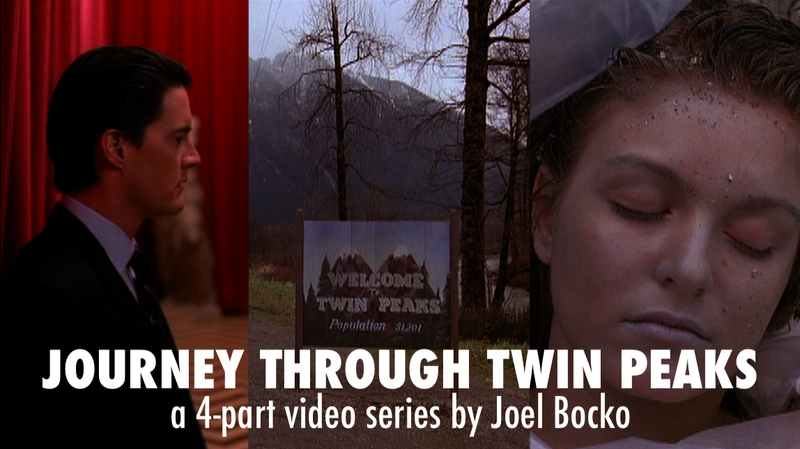 Your write-ups and video essays on the series and film are fantastic, and, like many Twin Peaks fans, I thank you wholeheartedly for these contributions. I am not here to dissuade you from Millenium. It is an interesting series, worth checking out. However, I would like to state a case for at least a few The X-Files episode write-ups. Much of The X-Files is filler. Virtually everything after Season 7 can be ignored. Accordingly, the series as a whole is probably lesser quality than Twin Peaks, Deadwood, and The Sopranos. However, greatness lies in individual episodes and in many of the "mythology" episodes preceding the first feature film. Perhaps the best The X-Files episodes do not reach the creative heights achieved in Twin Peaks episode 2.07 (the reveal of Laura Palmer's killer), The Sopranos episode "Whitecaps," or The Twilight Zone episodes "Time Enough at Last" and "The Living Doll" (hey, there's an idea--write-ups for selected The Twilight Zone episodes!). However, for most of its original run (1993-2002), I considered The X-Files "appointment TV." Its writing and direction were often ahead of their time, and remain quite good by present industry standards. In fact, no less a TV critic than the esteemed Matt Zoller Seitz saw fit to include seasons 1 through 5 of The X-Files in his pantheon of all-time great TV series (see http://www.vulture.com/2012/01/vulture-tv-critic-matt-zoller-seitz.html). Check out Mr. Seitz's write-up for the episode titled "Triangle" (see http://www.turning-pages.com/carterconnection/112298newark.htm). Though perhaps not numbering very many, other The X-Files episodes are great enough to merit this degree of attention. Joel, why not devote digital ink to just a select few The X-Files episodes? You can find decent lists of "must-watch" episodes at, e.g., the IMDB boards (see http://www.imdb.com/title/tt0106179/board/thread/239433853, http://www.imdb.com/title/tt0106179/board/thread/239307545, http://www.imdb.com/title/tt0106179/board/thread/239228871). I have my own ideas for which episodes are worthy of write-ups, but these IMDB lists are as good a starting point as any. For my part, I hope you will at least strongly consider covering "X-Cops" (from Season 7), "Clyde Bruckman's Final Repose," and "Jose Chung's 'From Outer Space'" (the latter two penned by Darin Morgan). In my view, these episodes are the narrative and cinematic peaks of The X-Files. Each is nicely composed, cut, and scripted, and each is worthy of a write-up. Thanks for taking the time to read this, Joel. Best to you! Thanks for the recommendation - and Lance Henriksen? I'll have to check it out! Thanks for the feedback & for enjoying the blog! Most likely I will do an X-Files series but vary the length of the write-up based on quality & maybe even combine episode coverage during weak seasons. If it's deserving of at most a paragraph of two that's all I'll give it, but of ots better than that I won't hesitate to offer a lengthy review.